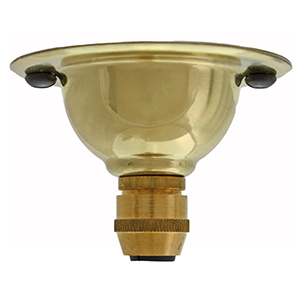 A small ceiling rose manufactured here in the UK from solid brass. 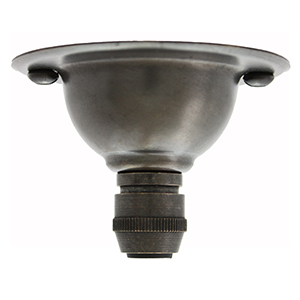 For use as a pendant ceiling plate when a small and discreet outlet is required. Our polished brass finish has a wonderful golden appearance and works particularly well with our darker fabric cables. 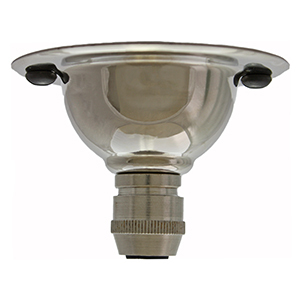 Standard screw bulb sockets are available in a matching finish for creating pendant sets. 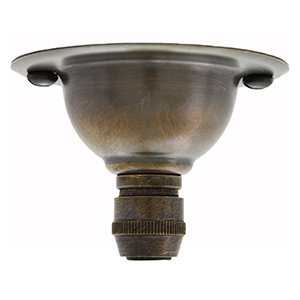 This small ceiling rose comes with a cable grip suitable for securing both round and twist cable and two black japanned screws for fixing to the ceiling. 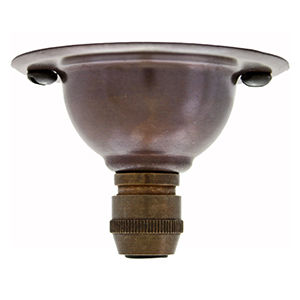 Suitable for fixing to conduit in commercial interiors the mini ceiling rose has BESA fixing holes. This unit is not designed to house the electrical connection this will need to be made in the ceiling void or conduit. An earth terminal is located inside the ceiling plate. Item must be earthed and installation must be by a competent person in accordance with current regulations.